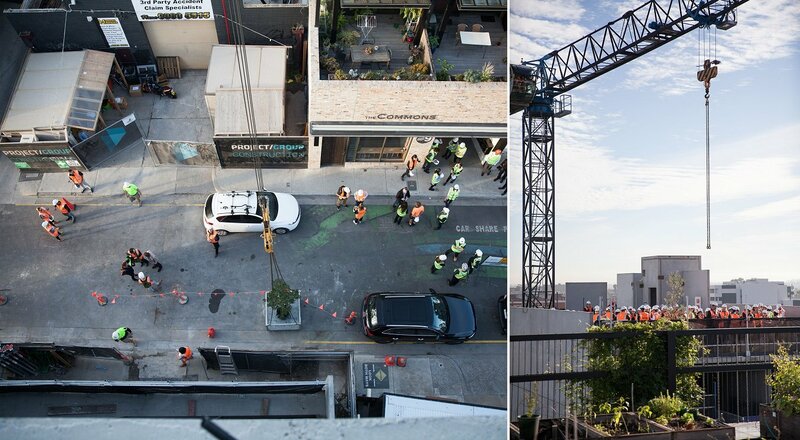 Brunswick's Nightingale 1 apartment project reached a significant milestone on Friday, with constructor Project Group holding a ‘Topping Out’ ceremony for the build. Underpinned by the principles of wellbeing and liveability, the Nightingale series of apartment projects are becoming increasingly popular with purchasers, as evidenced by the 2,000 strong waiting list for future Nightingale releases. At 6 Florence Street Brunswick, Nightingale 1 is a five-storey building containing 20 apartments, a ground floor retail space and rooftop communal gardens. The project is aiming for an average rating of 8.2 stars, and includes a shared 18kW solar array. Nightingale's development and financial model is unique in that it advocates connected communities and sustainability, with capped project profits and a covenant upon resales ensuring affordability is passed on. Nightingale 1 is directly opposite The Commons, which acted as the Nightingale model's test bed project. Project Group have advanced the Breathe Architecture-designed Nightingale 1 build to structural completion, and will now ramp up the projects fit out. Nightingale 1 is one of a swag of residential projects currently under the guidance of Project Group, who have recently added new builds in Collingwood, Richmond, Prahran and Armadale to their construction catalogue. We have a passion for delivering innovative projects and Nightingale is an innovative model that creates socially equitable, liveable, and affordable housing for everyday Australians. Getting into the housing market isn’t what it used to be and whilst Nightingale has a waiting list, it’s buying model is based on a ballot and it’s the only residential apartment offering that’s built to support buyers’ wellbeing and liveability. Nightingale 1 has is expected to be completed later this year, whilst two further projects have also boosted Nightingale's public profile. 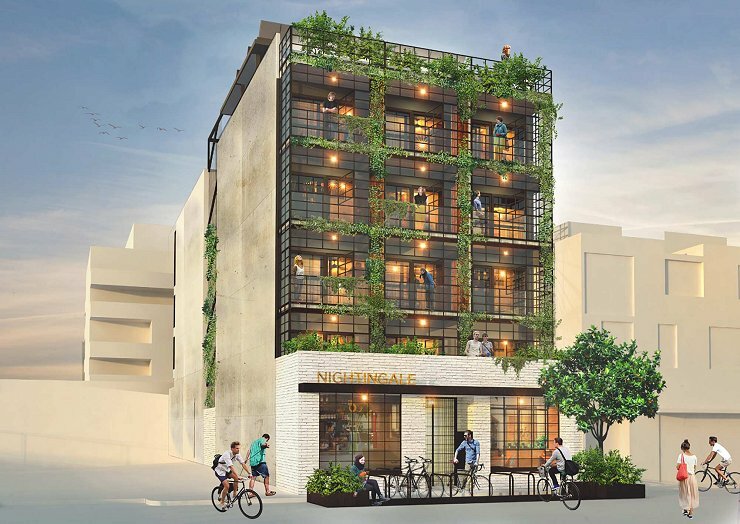 Nightingale 2 at 72A Station Street Fairfield has planning approval and in an unusual move garnered over 200 letters of support for the project during its planning phase. In addition, 209 Sydney Road Brunswick has been positioned as Nightingale 3, and holds a Notice of Decision from Moreland City Council for a seven storey building containing three retail premises, one office and 20 apartments. Overall there are 18 Nightingale projects in development around Australia.